Learning outcomes in education are multivariate: Students should learn the basic concepts and methods of different domains, should develop interests, should become motivated to engage in further learning processes and societal discussions, and should gain insights into professional career perspectives for their own future. As research has shown, education outcomes often do not fulfil these goals. Chemistry is a subject that is highly relevant in everyday life and that has many career perspectives. Furthermore, there is a lot of scope for using inspiring activities in class, such as carrying out investigations or observing surprising phenomena. Nevertheless, research in chemistry education has shown low values for students’ interest and the perceived relevance of chemistry. In addition, research has identified the fact that students have difficulties in understanding and applying the basic concepts of chemistry and the nature of science. When regarding this problem, a comparison between Sweden and Germany might be especially interesting because both the social structure and the culture of these countries are similar. In both countries, chemistry is learned in an integrated manner with other science subjects up to grade 7, and thereafter mostly as a separate subject. However, there are considerable differences between the two countries in terms of students’ interest in studying chemistry. Although the results of international large-scale assessments such as TIMSS and PISA are comparable, the average number of students who started a university degree in chemistry between 2000 and 2009 is almost seven times higher in Germany than in Sweden (1.45 vs. 0.21 %). 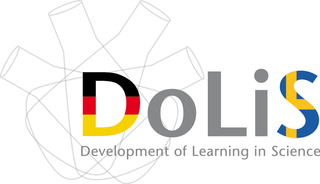 This study aims to analyze whether differences in teaching or in the organization of the school system can provide explanations for the significantly higher interest in third level chemistry education in Germany. We intend to investigate whether/ how students’ cognitive and motivational characteristics change over the school years 5-11 in Sweden and Germany, and whether/ how these changes are related to school systems or classroom features in each country. For this purpose, a cross-sectional study will be set up in both countries. The study will include both transition years (i.e. year 5 and 10) and will also address a continuous phase of development. The cross-sectional study will also be taken as a starting point for longitudinal studies in two cohorts, based on the same instruments. The longitudinal studies will follow up on students from grade 5 to 7 and from grade 9 to 11 for the purpose of investigating changes in the early stages of secondary education as well as in the transition phase into upper secondary education. In addition to this quantitative longitudinal study, qualitative investigations will be carried out with the aim of providing in-depth insights. The long-term goal of the study is to use the results as a starting point for developing materials and strategies for chemistry education in school, together with teachers, in order to foster science learning in school regarding the multivariate aims. Höft, L., Blankenburg, J., & Bernholt, S. (2017). Zusammenhänge zwischen Interessens- und Verständnisentwicklung [Interplay between the development of interest and conceptual understanding]. In: C. Maurer (Ed. ), Implementation fachdidaktischer Innovation im Spiegel von Forschung und Praxis. Gesellschaft für Didaktik der Chemie und Physik, Jahrestagung in Zürich 2016 (S. 596–599). Regensburg: Universität Regensburg. Bernholt, S., Köhler, C., & Broman, K. (2016). Die Verständnisentwicklung zentraler Fachkonzepte im Chemieunterricht der Sekundarstufe [The progression of students‘ understanding of central topics in secondary school chemistry]. In: C. Maurer (Ed. ), Authentizität und Lernen - das Fach in der Fachdidaktik. Gesellschaft für Didaktik der Chemie und Physik, Jahrestagung in Berlin 2015 (S. 223–225). Kiel: IPN. Blankenburg, Janet, Broman, Karolina & Parchmann, Ilka (2016). Interesse an naturwissenschaftlichen Tätigkeiten – Das RIASEC+N Modell [Interest in science activities – The RIASEC+N model]. In: C. Maurer (Hrsg. ), Authentizität und Lernen - das Fach in der Fachdidaktik. Gesellschaft für Didaktik der Chemie und Physik, Jahrestagung in Berlin 2015 (S. 476-478). Kiel: IPN.